Time is relative. As Wikipedia puts it, time is used to sequence events, to compare the durations of events and the intervals between them, and to quantify rates of change such as the motions of objects. In addition, the temporal position of events with respect to the transitory present is continually changing. In the old days, let’s say, 188 years ago, in 1824, people here in Mallorca could on the whole not read nor write. Education was a privilege of the upper class then, of land owners and the landed gentry. Likewise with time keeping. Only the church and nobility needed to know what hour of the day it was at any given moment. The common man in the street would structure his year by the saints; today, July 14th, for instance, would be the day of Sant Camilo (Saint Camillus de Lellis). The hours of the day, as far as the farmer was concerned, would be governed by the position of the sun; daybreak would mean that animals wanted to be fed. Other than that, it was important to know when it was time for church mass; but for that one could rely on the church bells to be rung. 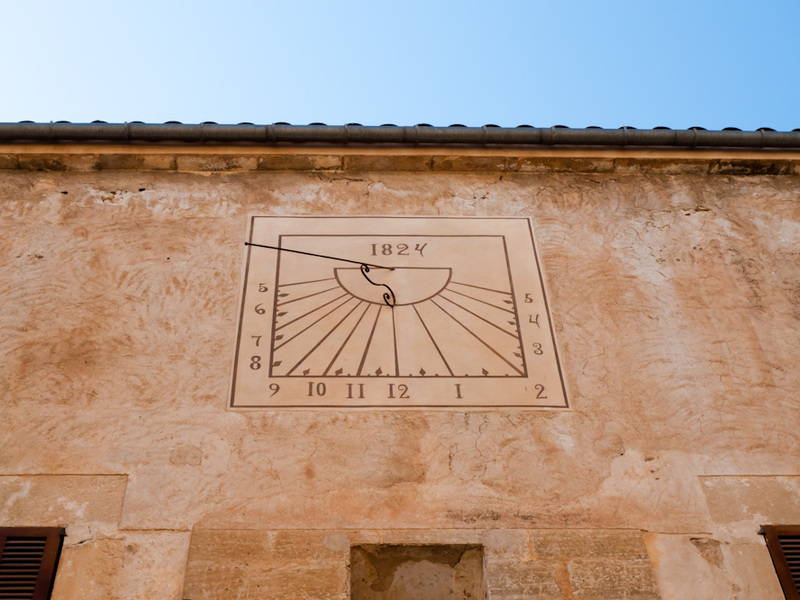 I can’t tell you more about the origin of sundials here in Mallorca except to say that they always counted the hours from sunrise to sunset, from dawn to dusk. Nighttime was for sleeping. Irreparabile tempus. Time can not be recovered. As good an explanation of ‘the meaning of time’ as I have read. Since retiring to Mallorca earlier this year I have come to the view that time starts late and passes faster here. I rise every day to a view of our ‘smiley mountain’ (Son Fe, near Alcudia), a cup of fresh coffee and a nose at the ‘Mallorca Daily Photo Blog’ following which the ‘faster Mallorcan time’ starts. Perhaps you could also answer the other question that has been puzzling me. What is the meaning of Life? Having learnt that years ago, I can agree on all your other reflections, Mick, except the need to change Santa Fe to Na Burguesa, being located on the south side. Somehow the meaning of life and the meaning of time are interchangeable. Life is about how we approach time. 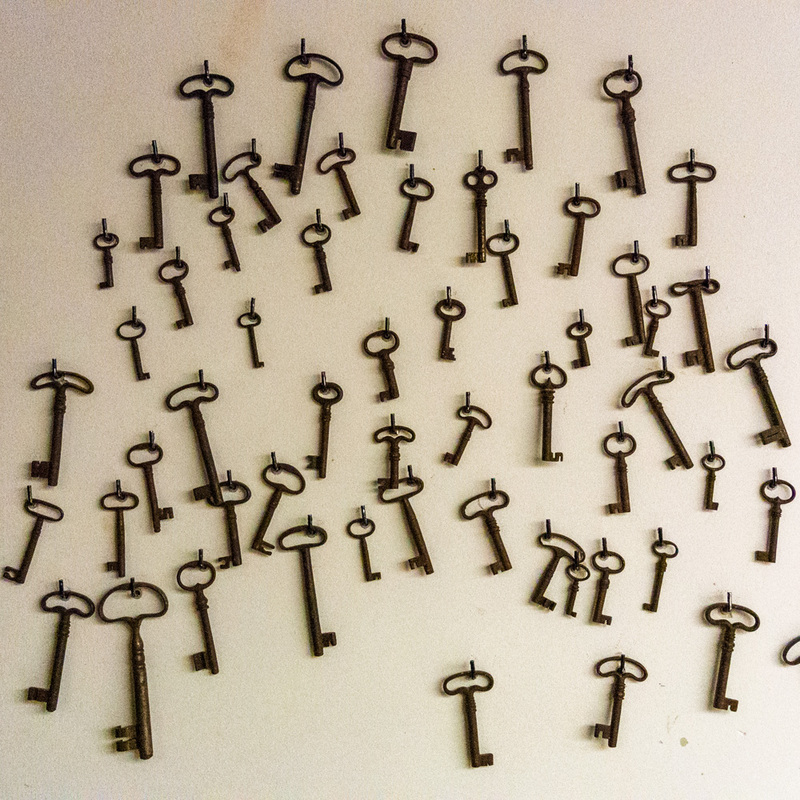 Irreparabile tempus, yes, but the mind can recapture and recover anything. “Time can not be recovered” is valid only for time on the clock. For time on the mind is eternal as long as the mind is not ticking it away. What the clocks say is not of any big importance. The peasants who did not know what was the time must be the ones who made the most of it.